What a dramatic project! 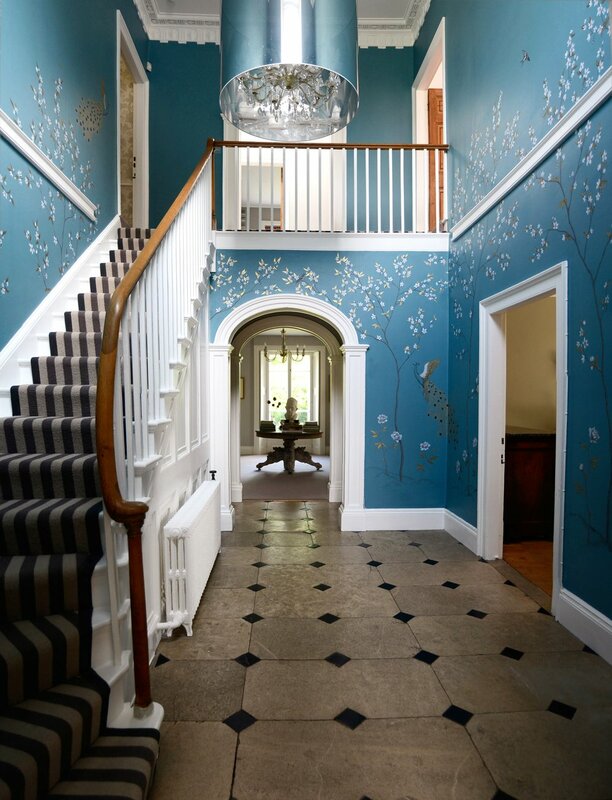 This lovely double height Edwardian entryway in Fingest went from being architecturally beautiful but a bit plain, to an eye-catching jewel in the proverbial crown. 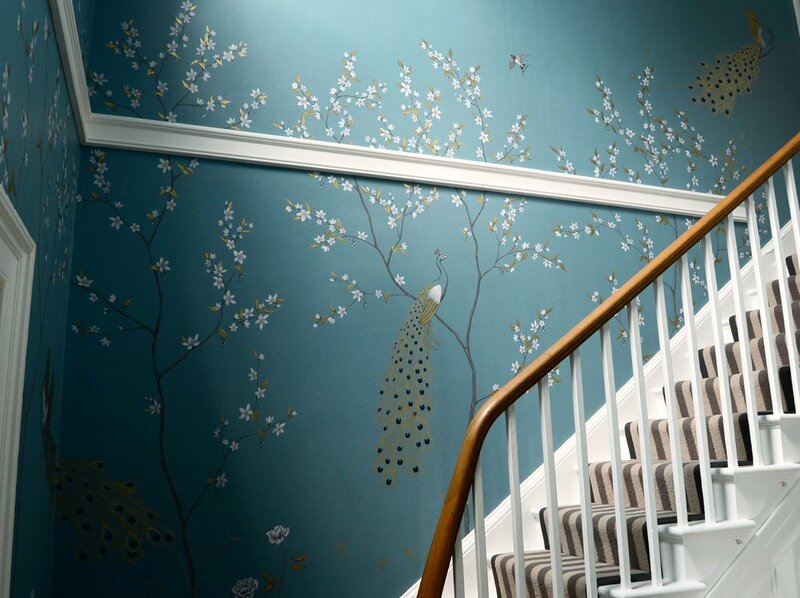 The clients saw my work in the Sunday Times Style article, and wanted a bespoke variation on my Somerset Peacocks design to bring life and interest to this Grade II listed hallway. 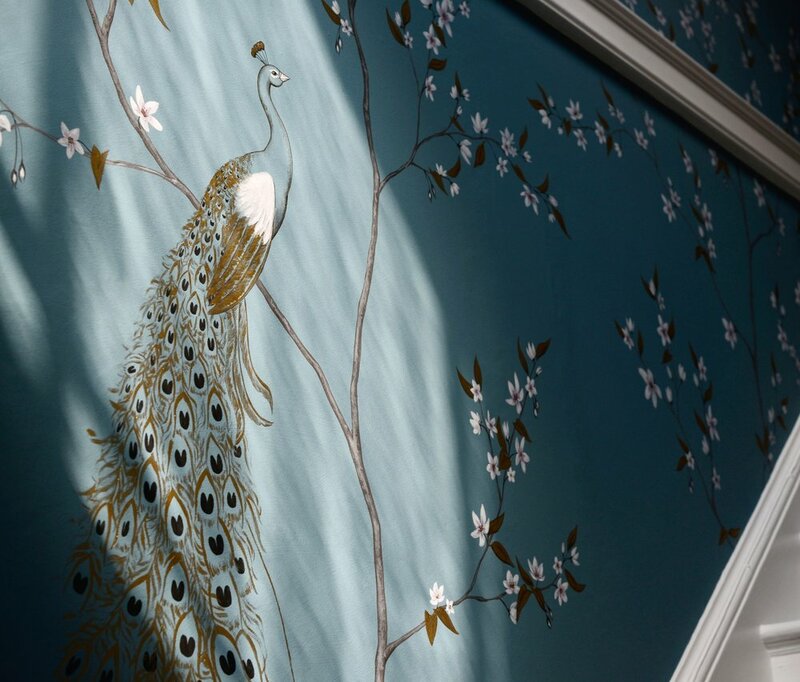 This project was a delight to create, and took nearly 6 weeks to complete- I truly was an artist in residence!